The ceramic Alto, plastic Oc® and cardboard Card-oc® all play at a singing pitch with D as their lowest note, although skilled players can ‘nose-shade’ down to a C sharp. 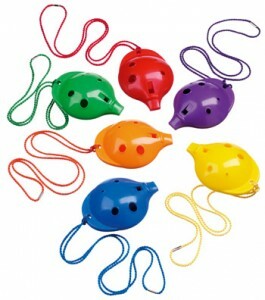 The Mini ocarina sounds an octave higher and the Bass (rhymes with ‘face’!) sounds an octave lower. Choose which you would like to play by listening to these sound files. 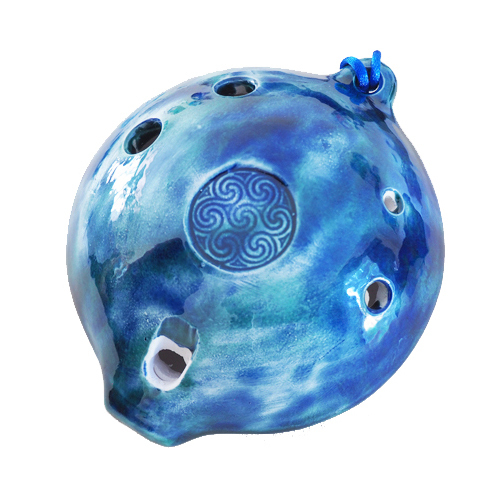 All our ocarinas have six finger-holes for a full 6-hole scale unless marked ‘4-hole’.